At PAX Prime 2014, BioWare showed off the 4v1 multiplayer of their latest RPG Shadow Realms. Earlier last month, BioWare started teasing that "You've Been Chosen" as a precursor to announcing their next upcoming property. That the reveal finally came during Gamescom after Shadow Realms was unveiled. During PAX this year, BioWare was giving demonstrations about the design principles going into Shadow Realms and letting folks get hands-on. 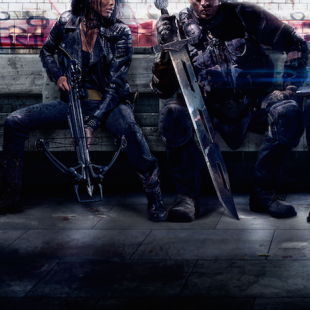 Shadow Realms draws its inspiration from tabletop games. Where the dungeon, or game, master injects an element of the unexpected into the mix, even when you're working from preconceived sources like an adventure module. So the nugget at the center of the game looks to recreate this experience with four players working together against a fifth as the shadowlord. During the mission we played, the players needed to progress to the end of the dungeon and defeat the boss in order to close a portal. Pitted against them, the shadowlord is using everything in their power to grind down the players resources and keep them from completing their goal by wiping them out. There's a heavy focus on customization, and adaptation, on each side. Players will choose from the likes of assassin, cleric, warrior, and wizard, each with their own quirks and abilities. While they largely fell into their expected role, the developers noted that there will be a lot of abilities to unlock and you can use those and the loot you find to customize your characters to suit your gameplay style. For instance, the assassin could be specced to be more of a stealthy backstabber or AOE damage dealer that relies on speed to get in and out. I actually had the most fun playing as the cleric, whose only "heal" took a rather long time to recharge. Instead, this version focused more on a high risk/reward AOE and crowd control build that could bind enemies in the area and then nuke them with a powerful smite ability. One of the tenants that the developers spoke of was ensuring that all the abilities for everyone were active differences and not simply passive buffs. Checkpoints dotting the levels give players a safe zone and resources, but they also allow players to adapt and swap loudouts of abilities as needed. Likewise, the shadowlord has its own progression of unlocks and powers. The shadowlord will determine what enemies spawn in the level and has a bunch of tricks to hamper and damage players. For this playtest the shadowlord could drop spike traps and exploding skulls to directly assault the party, but the shadowlord could also possess monsters to better focus down key threats, like a healer, and could even doppelganger a player, which during a chaotic fight might go unnoticed for quite some time. The shadowlord ends up splitting their time between trying to generally hamper the party and try to exploit a weakness that presents itself, like a party member getting separated. The gameplay itself was very in the vein of BioWare's most recent action RPG outings, and it was easy to see it would be just as home with a gamepad as it was a keyboard and mouse. Combat trended towards the chaotic, with a lot of spell effects and a pretty heavy emphasis on movement. You'll be using the dodge button to dive out of traps and attacks a lot. On the whole, I found the combat to be quite a bit of fun, whether it was tearing things up with the assassin duel-wielding sickles or my trusty cleric keeping the party on their feet. My only misgiving about the gameplay was I'm not entirely sold on the 4v1 premise quite yet. I think the interplay of having the shadowlord trying to wear down your potions and revive kits in order to wipe the party worked well, but it didn't quite sell the "unexpected" yet. Maybe it was simply because the shadowlords were as new as the rest of us, but it never felt like a malevolent and clever player was out to get me. Monsters would spawn, sometimes a trap would go off, and other times a monster would glow blue to indicate that it was being controlled, but it was an otherwise normal dungeon crawl. Fights were often so chaotic that I wouldn't even notice if the shadowlord was doing anything, I was already just AOE nuking everything moving and dodging the rest. That said, this is still early alpha stuff and the developers spoke of putting players first and listening to feedback. You hear me BioWare? I want a more evil and crafty shadowlord that has greater impact on when and where everything happens. The one area that I do think shows some promise though is the setting. BioWare has never made a modern fantasy game, heck almost no one has, and I am interested to see how they will tackle it. The setting itself will supposedly be split between the modern world and a dark gothic fantasy world, and this will match-up or clash in a number of ways, though a lot of it sounds like it will be focused on the players customization. Your wizard might find an uzi to wield in addition to their spells or the warrior in the demo carried a big old battleaxe into melee, but was decked out in modern armor like you'd see on a bomb disposal specialist. The story was promised to be the same BioWare flair, but it will be told episodically, which I'll admit I'm both skeptical of but a little intrigued as well. Telltale, for instance, has done plenty of fine work with episodic storytelling, and those games arguably have more player agency than most RPGs, with episodes helping to keep choice branching from getting complex. BioWare believes that this is the best way to tell the story of Shadow Realms, and I'm at least willing to see how that pans out. It also doesn't hurt that James Ohlen, lead designer of Neverwinter Nights, Knight of the Old Republic, and my all time favorite Baldur's Gate II is on hand as director. 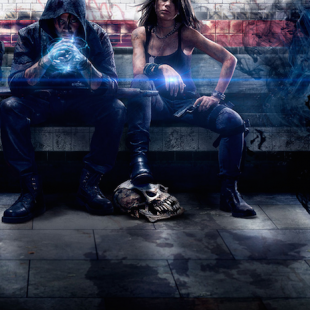 Shadow Realms is looking to the release on the PC sometime next year, though you can sign up now for the closed alpha now.